...to remove every second frame like I've done before perfectly well, but when I do with these the gif goes all jittery and has elements appear where they shouldn't, multiple frames appearing in the same frame... odd things like that. I decided I'd manually remove them in photoshop, and it looks completely fine in photoshop until I save out as a gif and preview and it has very similar problems. 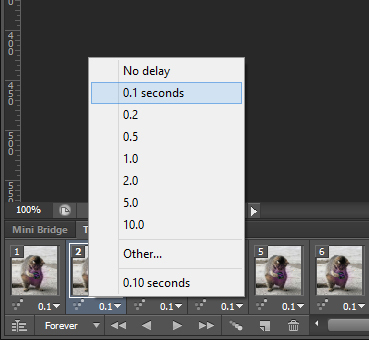 How does it look when you run preview in the timeline in PS before creating the gif? As I said, it looks perfect. Hoe long are your delays set to? Removes the frames natively in PS not EZ Blender Quif Optimizer.